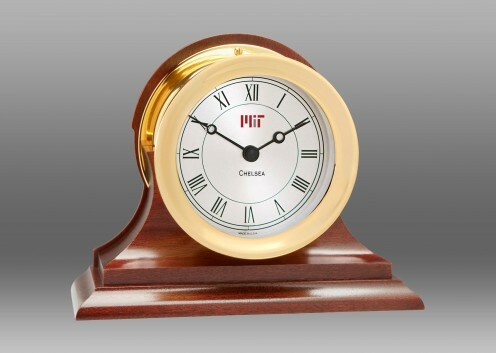 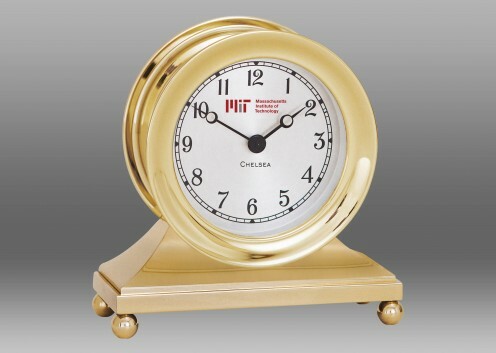 In both name and design, the Presidential Clock reflects significant achievement in the art of superb clock making for which Chelsea Clock is world renowned. This exquisite piece brings stately elegance to any room, with its hand-finished solid forged brass case and rich, solid mahogany base. 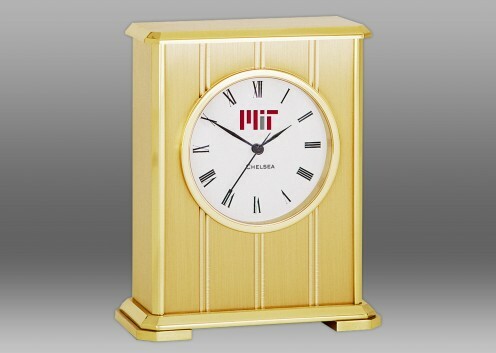 Boasting a 4.5” dial with traditional black Roman numerals and the full MIT logo, this classically-styled piece features a quality German-engineered quartz movement.